Art can take on many different shapes and sizes in a variety of mediums. From watercolor paintings and bronze sculptures to still-life photographs and wood carvings, art can become the focal point of any interior living space. What if art could become part of a home’s architecture in unexpected ways? It can, and it comes in the form of natural stone. Perhaps it’s the allure of the exotic location from which it originated, or an unusual texture or uncommon color – representing that single event in time when the stone was created. 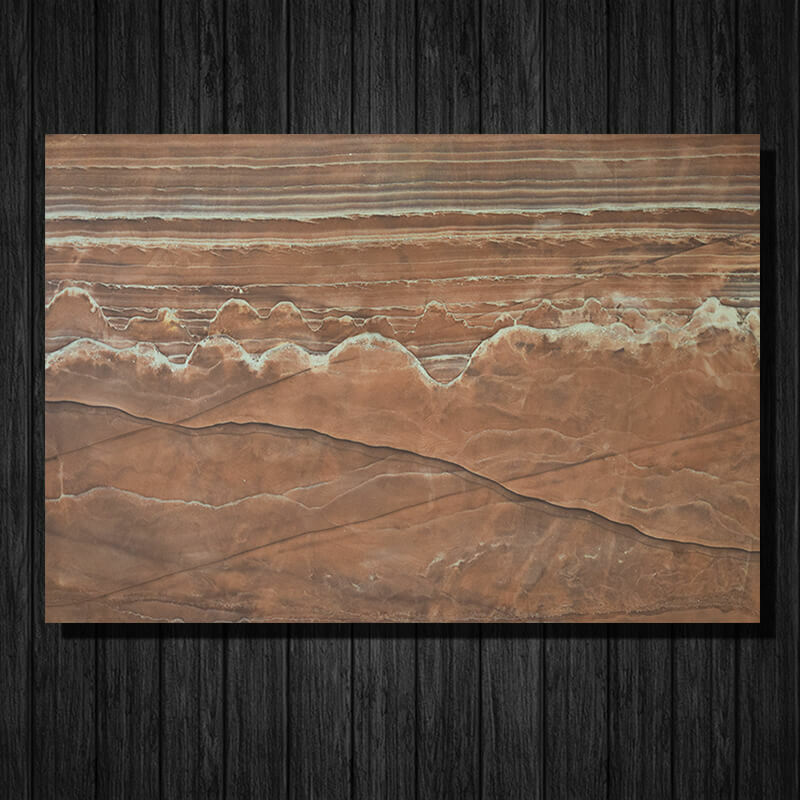 Whether it’s a rare stone or one that was uncovered from the depths of the earth, natural stone can truly make a beautiful and exotic piece of art. 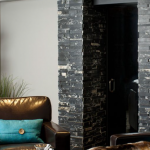 Whether natural stone is used to draw attention to a fireplace design, or carefully selected as a standout countertop in a bathroom, the ways in which it can be used are endless. 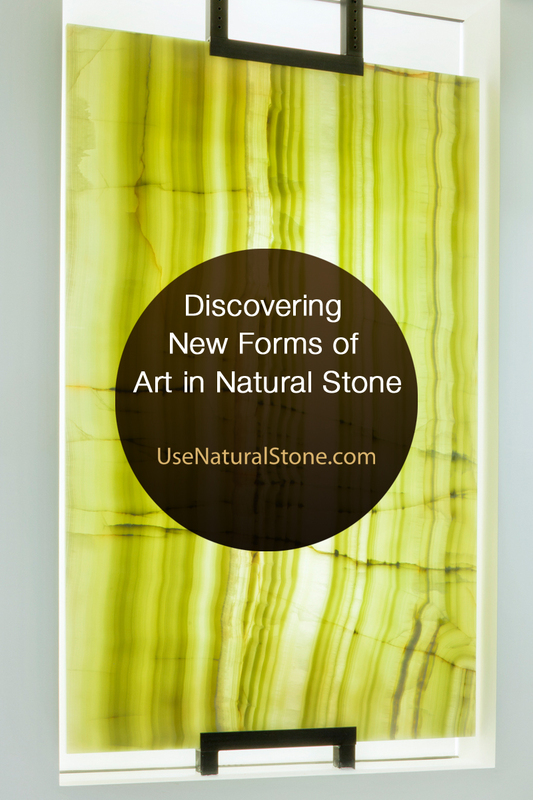 Natural stone can even be mounted on interior walls to become pieces of art. Backlit onyx. Photo courtesy of Stone Source. 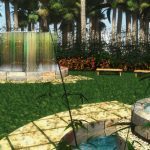 Onyx is another type of exotic natural stone that can be used in artful ways. 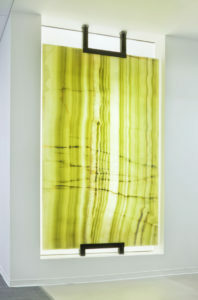 “The translucent character of many onyxes lends them to be backlit and incorporated as decorative pieces,” said Harty. 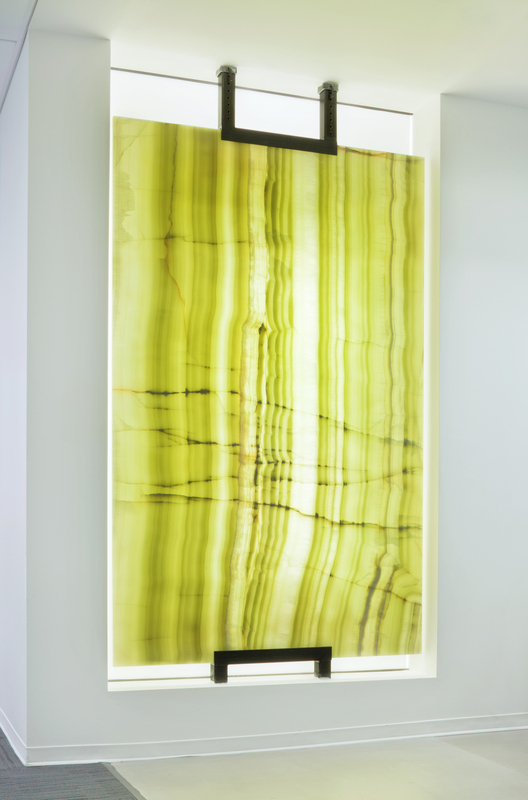 Popular uses of onyx include bar backsplashes, built-in wall cabinets, bathroom countertops, staircases, and fireplaces. Those who find beauty in nature see natural stone as more than just another building material; they see it as a unique piece of fine art.